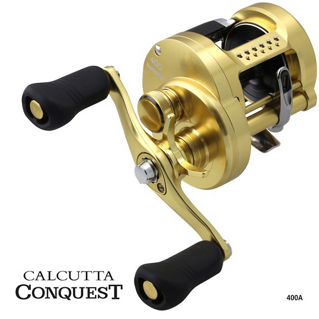 The Calcutta Conquest baitcaster has it all. Loaded with features like Hagane Body, X-Ship, Micro Module Gear System, Stable Spool Design and 12 SA-RB bearings, it’s a brilliant round profile baitcaster. The iconic Calcutta D round baitcaster series incorporates massive amounts of state-of-the-art fishing technology that will see them continue to perform for years to come. 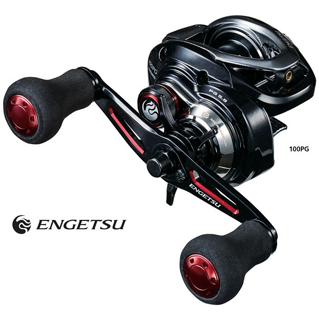 A compact, versatile and sweet casting reel is the best way to describe the Engetsu baitcaster. 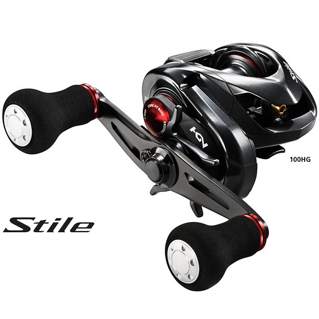 The Shimano Stile is an ultra light-weight 100 size finesse baitcaster designed for saltwater use around estuaries and rivers. 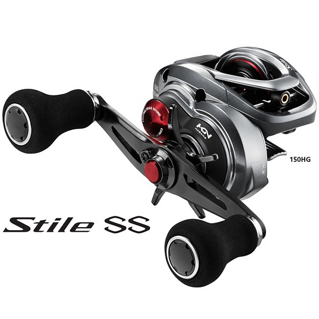 Stile SS baitcasters are a premium reel series direct out of the Japanese market. They are ideal for targeting demanding species like barramundi up north, to Murray cod in inland rivers. 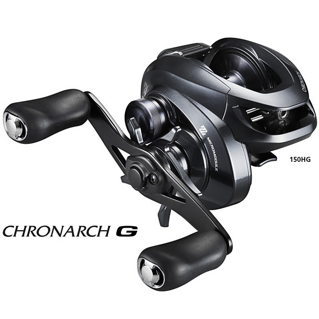 Packed with the latest advancements in Shimano baitcast technology like X-Ship, the Micromodule Gear System and SVS centrifugal braking, the Chronarch G delivers top-level performance for saltwater anglers. 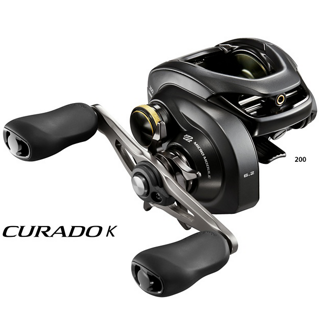 The Curado K reels have a number of features that make them an excellent choice for saltwater fishing, in a variety of gear ratios, and left and right-hand wind. 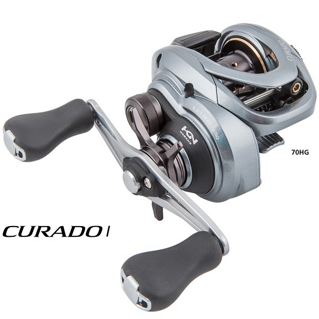 The enduring Curado baitcaster continues to be upgraded every few years and the I series takes design and performance characteristics to a new level. 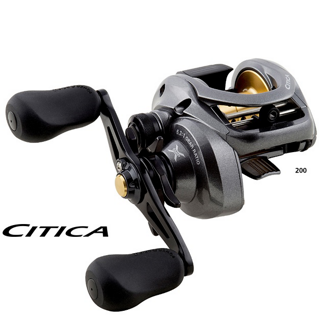 With their low-slung profile and race car looks, the Citica baitcasters are pretty classy example of Japanese design, technology and performance that are perfectly suited to Australian fish and conditions. 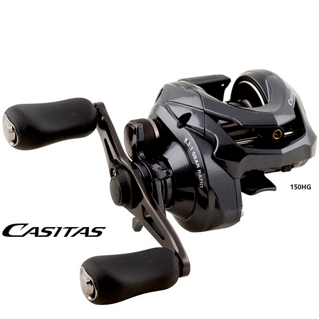 Casitas baitcasters come in two retrieve options — a still fast 6.3:1 and a paint blistering 7.2:1. The Cross Carbon drag can crank out a fish stopping 6kg of power if required. 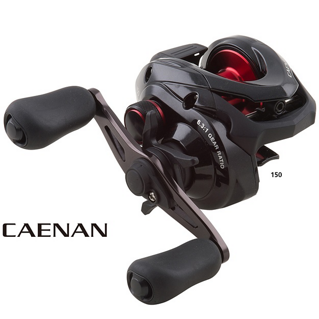 The Caenan baitcaster has an incredible number of features at an affordable price. It features S3D (Stable Spool Design) technology, creating a balanced and thin walled spool, which reduces vibration whilst providing the angler with smooth, effortless casts. 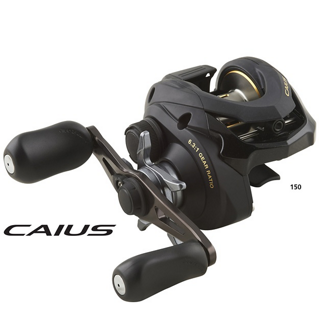 The Caius has plenty of features: 5kg of drag, 3 stainless bearings and 1 roller bearing, Easy Mag II braking, and a gear ratio of 6.3:1. 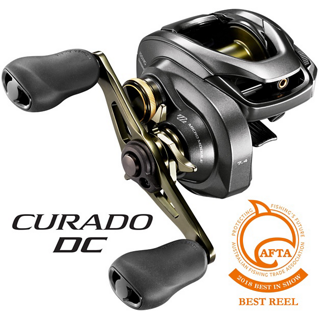 It’s a great reel for the beginner. 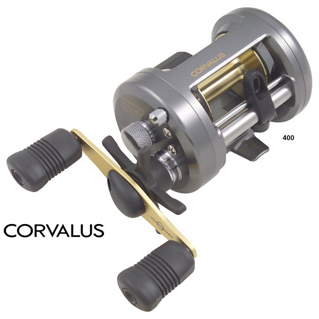 The Corvalus is an affordable round baitcaster alternative to the Calcutta. The 400 is an all-round performer suitable for casting and trolling, and has features like Variable Braking System (VBS) and Super Stopper anti-reverse. 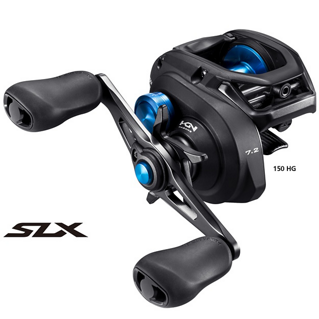 The SLX XT offers enhanced casting performance with the New SVS Infinity braking system for anglers targeting Murray cod through to barra. Anglers will now have greater control using the external dial to adjust the braking system with ease. 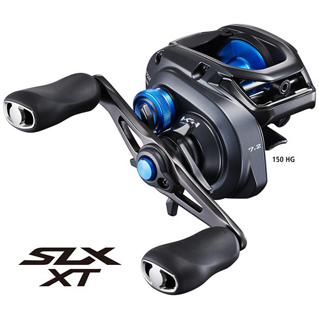 For barra fishing and bass fishing and many other salt and freshwater species, when it comes to precision casting with a wide variety of lure weights, shapes and sizes, baitcaster reels are the way to go — and Shimano have the best in the business. Shimano’s low profile baitcaster reels are ergonomically designed to be comfortable to use for long periods of time, as casting accuracy can really suffer when arms and wrists become tired, especially in the tropical heat, but when that long-awaited hookup does occur, other Shimano-exclusive features such as ultra smooth drags, SA-RB or A-RB bearings and Super Stopper come into play to make the fight even more enjoyable. 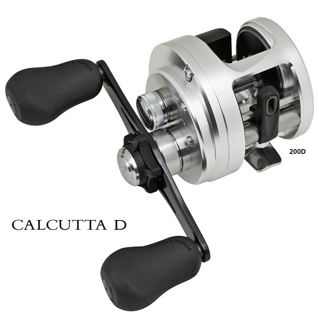 For mixed fishing situations such as live baiting and trolling — whether hand-held or sitting the outfit in a rod holder — traditional round cross-section baitcasters still hold sway, especially when line capacity is a factor if targeting species such as Niugini black bass, big saltwater barra and offshore dwellers such as Spanish mackerel and black jew.